Flip a coin. If heads, decreases the defense of your opponent's pokemon next turn. Flip a coin. If heads, all baby pokemon in range will obey Mama Gouge's every command! 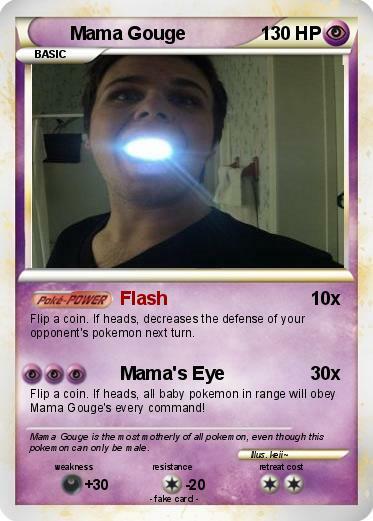 Comments : Mama Gouge is the most motherly of all pokemon, even though this pokemon can only be male.